Amy Corwin is a member of Mystery Writers of America and a charter member of the Romance Writers of America. She has been writing for a number of years and recently retired from a career as an enterprise systems administrator in the computer industry to write full time. She writes mysteries, sweet Regency romances, and paranormal romances. 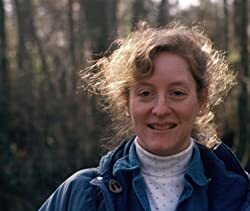 To be truthful, most of her books include a bit of murder and mayhem since she discovered that killing off at least one character is a highly effective way of encouraging the remaining ones to toe the plot line. In her spare time she cooks, gardens and has won several awards at local rose shows for her Old Garden and English roses. She is also a birdwatcher and generally fascinated with nature, having gotten her first Peterson's Field Guide when she was six years old. Join her and discover that every good mystery has a touch of romance. Please enter your email address and click the Follow button to follow Amy Corwin!